Words fail to describe or justify the eternal beauty of the Taj Mahal. 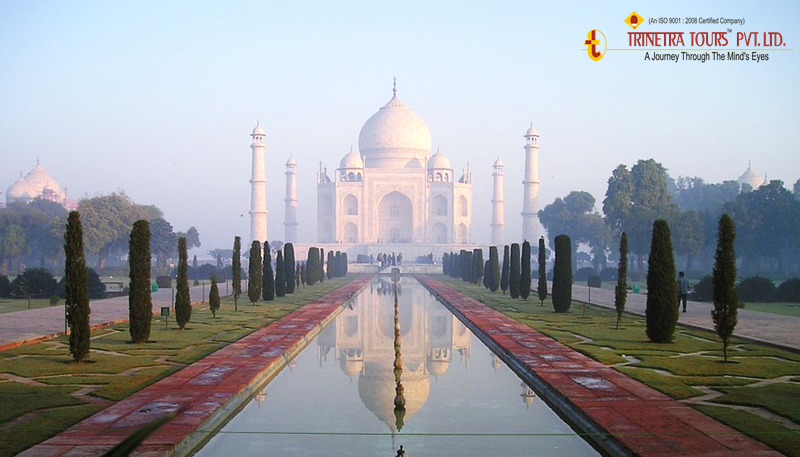 A labor of love built by the Mughal Emperor Shah Jahan for his wife Mumtaz Mahal. This world heritage monument is located in the Indian state of Uttar Pradesh, along with the banks of the Yamuna river. It showcases a spectacular display of intricate inlay designs of precious stones on white marble. No matter how much you have heard about the place, or, no matter how high your expectation be, the actual viewing always exceeds the most ambitious expectation. Today it stands as a testimony of true love and magnificent architecture. 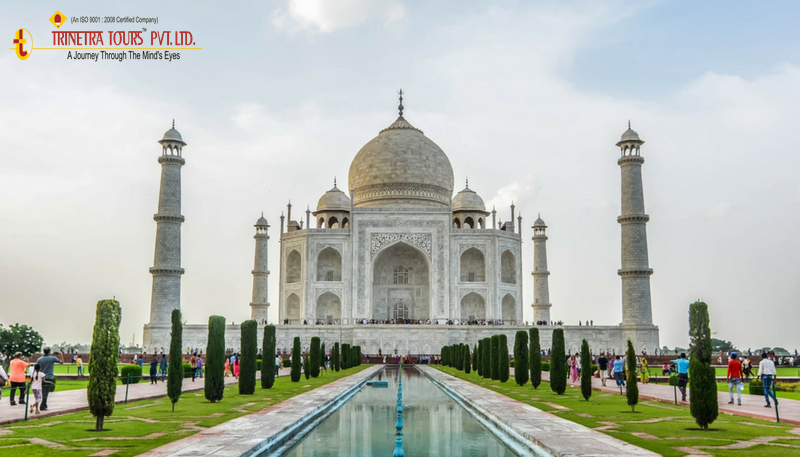 When to visit the Taj Mahal is a decision that foreign tourists should take care because this is a once in a lifetime experience that will always be close to your heart. To help ensure you have a memorable experience, we are sharing below some of Trinetra’s tips for visiting the Taj Mahal. 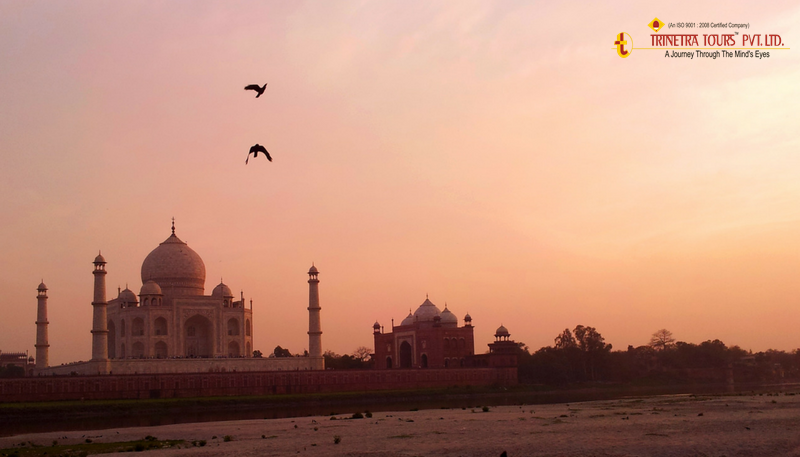 Although open from sunrise to sunset, in the warmer months, the Taj Mahal is best viewed at sunrise. The reason for this is you are fresh early morning, and, the Taj Mahal is the first thing that happens to you. A visit at sunrise also helps avoid the crowd of local tourists who generally arrive midday onwards, as a part of large tour groups. Even, the mornings are cool and the pollution, as well as the mists due to condensation, stays low. The haze rises as the day rolls on. In the winters, especially during the end of December, and, in early January, we expect heavy fog in North India in the morning hours. At this time of the year, there is a thick mist or fog covers that obfuscates a sunrise view. Hence, in our opinion, the best time to visit the Taj Mahal in December and January would be around midday or sunset when the mist would have well and truly lifted. All year round, the best sunset view of the Taj Mahal can be enjoyed from The Mehtab Bagh, situated on the opposite bank of the Taj Mahal. From here, we will see the Taj Mahal from across the river. The views of the Taj Mahal are very good from here. There is nothing between you and the Taj Mahal. Also, the rays of the setting sun from behind you fall perfectly on the Taj Mahal to create some great reflections. Yes please, five days in a month, the Archeological Survey of India does conduct night view tours of the Taj Mahal on full moon nights as well as two nights before and two nights after the full moon night. The maximum number of people are restricted to 400 people and the visit happens over 8 groups comprising a maximum of 50 people each. The scheduled timings are between 20:30 hours to 00:30 hour and each group’s visit lasts a maximum of 30 minutes. However, is visiting the Taj Mahal at moonlight worth it? Well, in our opinion the limitations listed above, do kill the visual as well as the spiritual beauty of viewing this eternal monument. We cannot go beyond the gate of the entrance, which is about 150-200 yards away from the Taj. 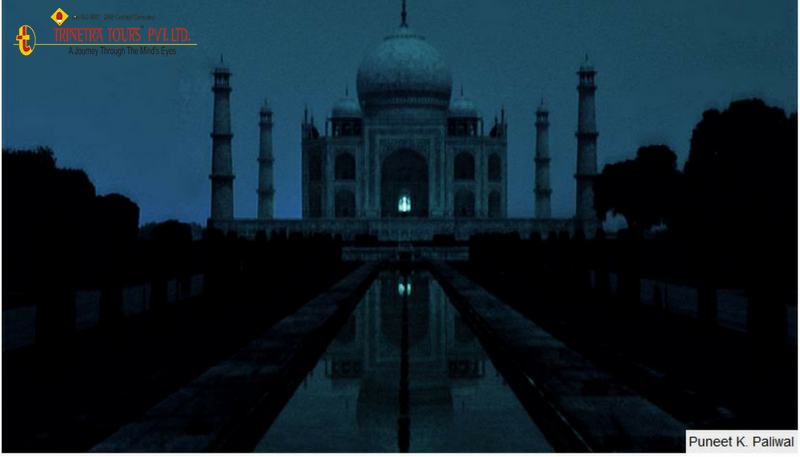 If the evening is hazy, then, the night viewing of the Taj is blurry and vague. This sometimes is very disappointing. So to speak, the best day to visit the Taj Mahal would be early in the week (Monday, Tuesday or Wednesday) as there is not much rush, and there is enough time and space to peacefully explore this monument of love. Closer to the weekends, one should expect a larger number of people to be present during their visit to the Taj Mahal. An important point to keep in mind while deciding on a day is that The Taj Mahal is closed for Public on Fridays. A lot of time be saved by purchasing the Taj Mahal tickets online. An Adult Ticket costs 1000 rupees for foreigners. Once purchased, just carry a print of the tickets along with the proof of identity (passport) you used while purchasing them online. Then, security checks the monument could be quite time-consuming. Hence, it is advisable to the least amount of objects. Perhaps a small backpack containing the tickets, ID proof (passport), a bottle of water and not to forget a camera! Finally, do not miss the view of the Taj Mahal from Emperor Shah Jahan’s quarters in the Agra Fort. This is where the emperor was kept under house arrest by his son Aurangzeb. Legend says during his later life, when Shah Jahan’s eyesight could not afford him a direct view of the Taj Mahal from his quarters, he used to place a mirror on the wall of the fort and enjoy the reflection of the Taj Mahal on it. True, the Taj Mahal after so many decades and years still remain one of the most popular monuments in the world. 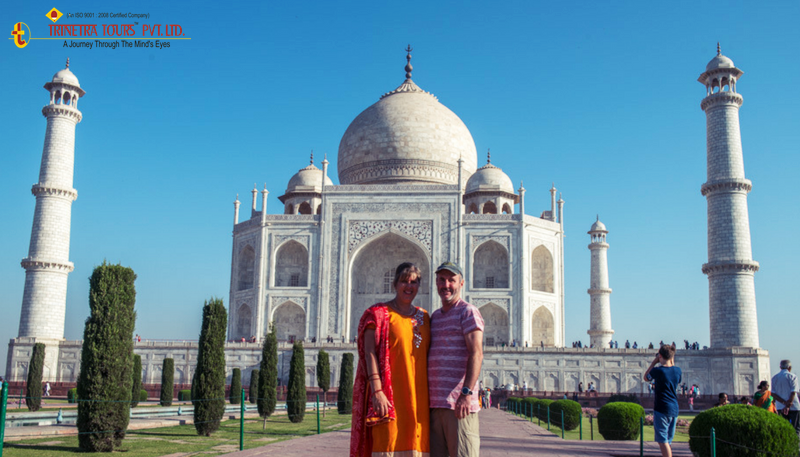 Some of our tours which include a visit to the Taj Mahal are the Golden Triangle Tour of India, the Crown Jewel tour of India, Taj & Tigers Tours, and Agra family tours. 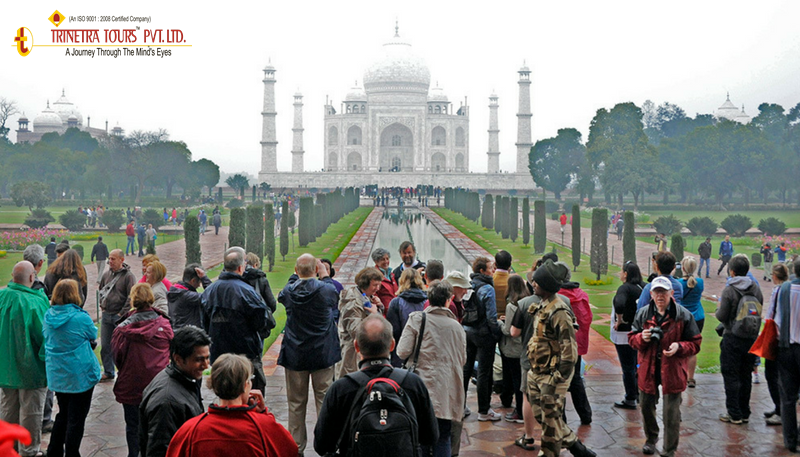 So, do give us a shout out at tours@trinetratoursindia.com for planning your dream visit at the Taj Mahal.